In a family neighborhood, between sea and city, overlooking the coast of Basques, we offer a small pannel comfortable and neat accommodation. 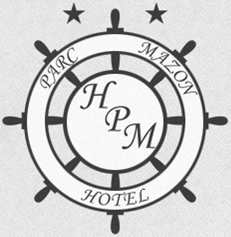 The ideal situation of our establishment allows to enjoy a restful and calm stay in Biarritz. You can enjoy the Basque atmosphere of the Les Halles district and the city center. To go to the beach, you only have to go down the famous stairs of the mythical "Côte des Basques"
Our suggestions for restaurants, excursions and activities to discover with your stay in the Basque Country. Perfect for strolling without making a fuss! Our hotel consists of 16 rooms and our residence consists of 7 studios with an independent entrance for each. We do not accept our animal friends.